Whenever we go out on roams in Null we pretty much know that one out of two things will happen. Either they will all dock up and stay docked until we’re gone, or they will try and get a huge fleet going so they can get us out of their little pockets. This is because the null mentality basically equals not wanting to take risks and lose your ships. And I get that, I do. I’ve been like that in the past, but I have come to hate it. I love fights, I enjoy not knowing the outcome of them, of being one of two teams, or even three, and wondering if I’m going to be the one that will come out on top. What I hate though, is being part of a big blop, or being killed by one. I know, I know, this might sound like a bit of a rant, and perhaps it is. But still, people should stop being afraid to get into a good fight. 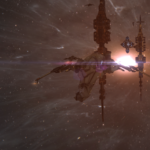 The other day we were out on a little roam in our static, there were 8 of us, just a few Omen Navy Issues and other small stuff. We figured we could poke the locals into at least coming to shoot us by enthosising their stuff. 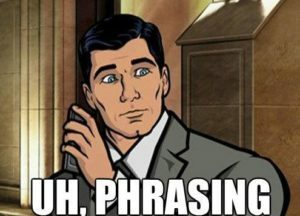 So we brought in a Harbinger with an enthosis link. The locals did a bit of docking and undocking, to see if we were still there, to tease us with ships, I don’t know. It wasn’t all that fun. About half an hour later we finally saw them jump things in the system, local spike, 10 more people joining. They undocked a FAX machine and we saw D-scan filling. 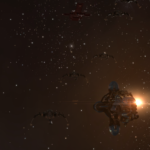 We were getting ready to fight, a few cerbs, tengu, legion, we could take that, or at least try. That’s when they decided to make it even easier for them and they lit a cyno. They did not drop just one carrier, there were 7 on grid. Not something we could take, so we had to bail. It was time to see if we could get some more people in the fight. We wanted to fight them, badly. After about 20 ish minutes we had 40 people ready, we knew the other guys had about 50 around so we could fight this if we paid attention. Unfortunately, the other guys decided that they do not like playing with even odds. So they didn’t do a thing. 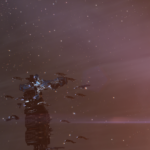 The alliance party split up and while we were on our way back to the wormhole the nullsec bears tried to pick off a few stragglers. Due to my own fault, I got caught in a bubble. Sabre, 2 hurricanes, crow, stiletto on grid. I could tank that while the rest were warping back. I even nearly killed the sabre but due to me not having point he was able to get out with 10% structure, which is good for him. That kind of thing gets your heart racing. 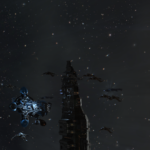 When the other guys were back we had 2 gilas, a curse and a Stratios on grid. We could take this if we paid attention. But unfortunately, they brought in a geddon. So I told the guys to bail. We couldn’t take those neuts. 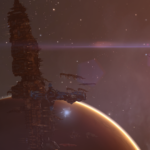 I saw my tank break down slowly and unfortunately I was not the only one who lost a ship, since we also lost a Stratios. 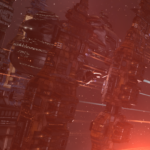 It’s a shame that in general people in Nullsec are so risk averse. I wouldn’t have minded losing my Gila to a normal fight, but c’est la vie. It’s been replaced and I’m ready to go out in space again. Hopefully finding targets that do fight back. I’m a bit salty about the loss but I shouldn’t be, it was my own fault. 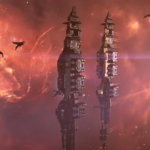 We didn’t warp back together, we didn’t fly as a fleet. It was late and everyone was in a “let’s go home” kind off mood. And that’s when stuff like this happens. Going on roams means dying. Not all the time of course but you can be certain that the loss of a ship and pod are inevitable. Which means that you need to make ISK one way or the other. 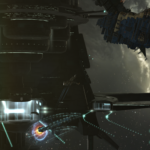 I have plenty of ISK to lose a few bill in ships, but as has been said in previous blogs. I’m somewhat of a space-Jew. I used to want ISK in order to pay for a character with the skills I wanted. Now I just want ISK to see that little line on jEveAssets rise. In the past it went along the lines of “I want to have 1b” once getting there it was 5, then 10, then 20, 25. My next goal is 30b, and this is where I’m starting to have a few problems with. 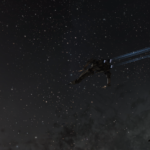 I have had a few lucky breaks in the game, some of my ISK coming from winning Moros’ on Blink and selling them. Some coming from lucky trades. 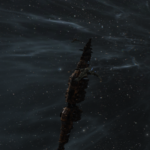 I think half of my ISK came from T2 production. Came, because for reasons unknown to me, this is no longer profitable as a solo industry player. What I used to do is buy the parts I needed in Jita, haul them to my production facilities, make the T2’s from my own researched BPC’s and haul them back to Jita. Making a solid 200-600k profit per. 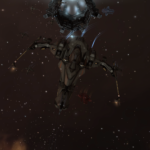 After being semi-afk from eve between January and June this no longer seems viable. For some reason that would now give me a 400k loss per T2 product made. So now, I need to look into another way to make ISK, good ISK. Because I still want to get to that 50billion milestone, and more. Right now I’m wondering what I should be doing with all the industry skillpoints on that alt. Should I extract it, sell the injectors? 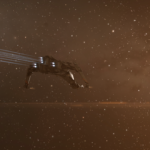 That’d give me a nice quick ISK injection. But what if I want to start production again? What if I’m just not looking at things correctly and I’m missing out on a good way to make ISK from production. And what about my science SP? Do I ever want to bother making T2 BPC’s again? I’m honestly at a loss on what to do with that alt. The only thing I can do right now, is getting her accounting up, because silly me still keeps forgetting about tax percentages when I buy “low” and sell “high”. Where theoretically I’d get a profit of about 20m per item, due to taxes that can easily go down to only 5mill. Woops, lesson learned there. If you have any suggestions, I’d be happy to hear them out. I need an ISK printer. Ps: I already do PI, making coolant right now, might have to try something new there too. I basically don’t feel that comfortable yet in the role of an FC. I like doing it, but I dislike not finding us anything to shoot. It makes me wonder if I’m boring my fleet members, if they’re even enjoying themselves. I guess it’s partly due to bad luck, partly my fault? I don’t know. Did a few things in the last week. 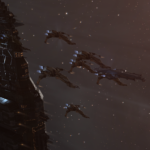 We had to go help defend something in null-sec. I don’t remember what because it was so damn boring. It just showed me once more why sov-null is not for me at all. Something about ihub, enthosis and waiting. All of those things are not fun, especially the waiting part, and supposedly the other two translate roughly to the same thing. You wait for things to happen. I get that some people don’t mind that kind of playtime. 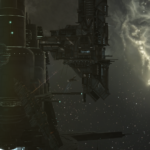 Where you just follow orders, wait for the FC to call the shots and undock when you have to, dock up when told etc etc. So that was lots of fun. But not really. We did a roam the other day. As is usual since that’s what happens about 80% of the time. I took over as FC for about half an hour. And while I was wondering about my own incompetence we caught an Ishtar, and a bit later a miner. It’s not much but at least it’s not just an MTU. After that little roam it was decided to “rageroll” the static. Which basically means that we were going to keep rolling the hole in search of targets. Let’s just say that ended up in me dying. My death, once more taught me that station games are bad. Fighting is fun if you outnumber them and even fun if you get outnumbered. But only if you have a chance to beat the odds. 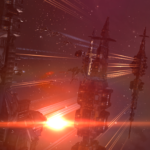 Dying because someone drops a carrier on you or suddenly undocks in the exact counter of your fleet. No fun in that. 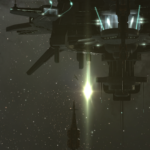 Well, it’s kind of funny if they drop a carrier on you to save a mining fleet. That one did make me smile. But station games, they’re not fun. I don’t like it when people try to bait you into getting them only to then dock up, and undock in something bigger. Either you try and shoot people, or you run like hell. That’s the way it should work, and it does work. Sometimes in your favour, on other times. Not so much. FC, should we jump too? Yesterday was the second time I played FC. Although maybe we shouldn’t count the first one, since it wasn’t that long one but still. I’m still new at all this. Doing it to make sure that I, and the others, have something to do. So called content creation. 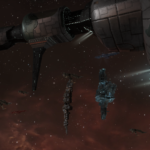 It basically started with us going through our null sec static in cruisers. 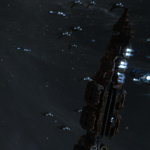 I told them that we might die, so what do my fleet members do? 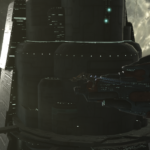 Undock in cruisers like a Gila and Orthrus’, because you know, if you’re going out, might as well do it in style. 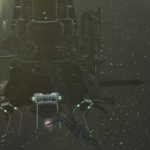 Seeing as I am not quite that experienced, and I never cared about null sec politics or null sec in general, I had no idea that an area like Syndicate is dead. So dead in fact that most of the systems we jumped in were empty. Mistake number one. But, so be it, we had a wandering hole that led to another null. Figured we’d go poke around in there. It was a frigate sized hole so we did have to reship, I called for interceptors or other frigate sized ships, so we went there with a few interceptors, a sabre and a magus. This time we were in Fountain. Turns out Fountain is filled with people that do not want to fight. They just dock up as soon as a neutral is close, which is a shame. While I was checking Dotlan on what system to jump to, I of course jumped every once in a while without telling my fleet to do so. Mistake number two. Which basically meant that every few jumps I had the question “FC, should we jump in too?” followed with a few laughs, since all in all it’s funny to poke on the FC right? They even made a deal that if we didn’t find anything they could kill me. I did not agree to this but I wasn’t asked for my opinion. You see what I had to work with here. Luckily for me and my, oh so expensive interceptor, we eventually found something. The Magus pilot had a Drake on d-scan, and found him ratting in an asteroid belt (I know right). Once he called point the fleet warped in and made sure they had him pointed too. Me, being the eager fc was already two systems further so I scrambled back, while being happy that something was caught. Even with that intel not much happened. A jackdaw did land on us, but unfortunately for him we were eager for kills so he was pointed and killed quite fast. Not long after that we killed the Drake and his pod. The loot going to our Magus pilot. Hooray! Kills. Onwards to the next few systems. So we went on, only to find a gate camp, the Drake and Jackdaw’s friends. Good thing we were in inties. Or at least, most of us. We did lose our Sabre, and I thought that was it. FC was bad. I figured our Magus pilot was following us too, but turns out he wasn’t there yet. So about 10 minutes after we had gotten past the camp, he got killed. In hindsight, I should have made sure that everyone was there, I should not have taken the gate, or at least told the Sabre and Magus pilot to turn around. 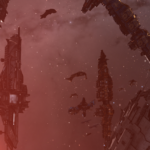 Seeing that we couldn’t take a 20 man T3 destroyer camp with just our little fleet. But so be it, live and learn. I’ll do better next time, and next time I’ll know that I should reroll the static if we come out in Syndicate or Fountain. I learned something new the other day. Which, surprise surprise, can happen every once in a while. Well two things but we already knew about the first one so that didn’t count. Let’s talk about that first. Waiting on a hole before doing something. Don’t do that, just, don’t. We have a few scouts in certain holes, holes of people we want to play with. The other day, one of our exits was about 4 jumps from our “friends” so we decided to go pay them a visit. We put up a fleet and went towards their entrance, having most of the fleet wait one jump out, and the tackle on the hole. The plan was basically for me and our Lachesis to warp in, point an Ishtar and Megathron, and poke them into fighting us. As soon as we saw it was one of theirs, we jumped in and warped to the site, only to land and have the Ishtar warp off right in front of our noses. We stuck around for a few minutes hoping to get a fight, but they knew we had Logi waiting for us, so that didn’t really work out the way we planned. Oh well, can’t do much about that. 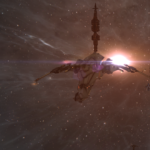 So off we were, on to the home system to go roam null-sec. 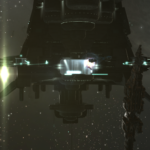 In our null-sec roam, I learned how to spearfish. For those of you that don’t know what it is, it’s the use of Command Destroyers and their jump portals, to warp someone away from their fleet. You use two of them, one to jump in, and one to jump out again. 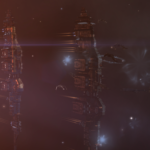 Bringing you, your fleet, and your target, 100km away from their buddies. Which is actually quite fun to do. Especially if they don’t see it coming, which honestly, you should. If you see two Bifrost’ come at you, you ball up, easy as that. So we did our little fleet jump, caught a Typhoon, who’s friends existed of about 8 Domi’s, but seeing as he was over 10km away from them, we were able to catch him off guard. They had a crow and a Tengu that came in to help him, it was no use. 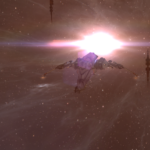 We almost killed the Tengu too but had to get out because the null-sec corporation had undocked a carrier. And as most of you know, carriers hurt quite a bit. Oh! 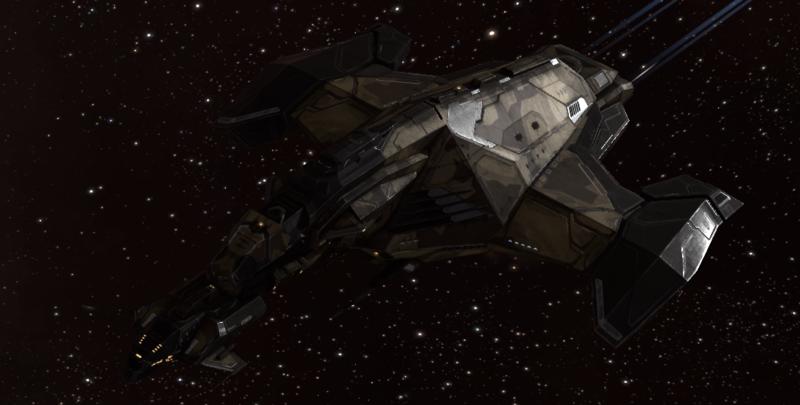 And I got another kill mark on my Gila! That’s number 4! Hooray! Or at least that’s what I was thinking when scanning the chain, seeing a bunch of retrievers on D-scan and jumping 100 off the only ore site, only to find them warping in. It’s always fun when you have people warp in right when you get there, means you’ve got people to kill. Or to kill you I guess. As soon as I saw the retrievers I logged onto E’dyn and grabbed my Sabre, while asking the few others online if they were up to killing them. About twenty minutes later, we had a little fight going on. I did lose my Sabre but all in all, we came out ISK positive, and that’s what we like seeing. One of the miners we killed came back in a Cerberus and the other in a Stratios. Luckily we had a tanky hurricane with us that could take them on, if only for a while. It was a first for me, seeing as I hadn’t killed someone in a wormhole for quite some time, and this was the first time I found the targets myself. Yesterday was another first for me, the first time I played FC. Before starting I warned the others to go in ships that they wouldn’t mind losing. Seeing as I obviously have no idea what I’m doing. Unfortunately, we didn’t get any kills other than an MTU (Yay us)! But it was good practise, and you have to start somewhere. Tonight, is a good day to die.. Unless you go roam in Providence, because they don’t want to fight. Or at least that’s how it felt the other day. The evening started as any other, checking if the corporation or alliance were up to something. 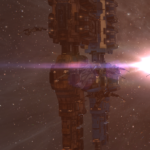 Just minutes after logging we were asked to get into one of our doctrines, a citadel was going to come out of reinforcement and we were going to come help and defend it, because supposedly people were going to come out and kill it. After getting into our ships, moving out of the chain and into highsec, we burned to destination, where the rest of the fleet was waiting. 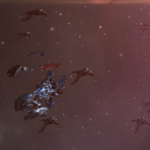 We had about 50+ people in fleet so it was going to be a good fight. But unfortunately nothing happened, the attackers supposedly saw our fleet and decided that they didn’t want a fair fight. That was quite unfortunate but that’s the way EvE works, sometimes you get people to kill, other times you get blueballed. So the next plan was going out on a little roam across Providence, we’re red to them, so we figured that we could get a fight out of them. But before doing this, we went a few jumps further. 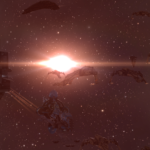 Someone knew of a group that was helping a bunch of new players get their first steps in wormhole space. And it was agreed upon that we’d go drop on them. 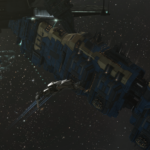 Our FC was going to reimburse the newbie’s ships but it would give them a feel of getting dropped on. Seeing that in w-space you’re supposed to be prepared to at all times have someone de-cloak on you. We killed about 5 of them, and supposedly they loved it. They must have had a major adrenaline rush going on, I know I would have. It definitely made me smile, knowing that these guys loved the fact that we killed them, instead of being salty about it. 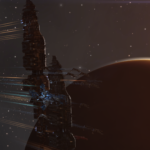 Newbro’s are great like that. After this, we lost a few people due to the fact that it was a bit late and a workday, I on the other hand took a day off so I could go on for a little while longer. We decided to reship into remote repping battleships and go to Providence, we’d lose the ships but hopefully get a few good fights out of it. Unfortunately, that didn’t happen, not even close. We jumped around providence for 2 or 3 hours, the only thing we were able to kill a Crane. Here we were, hoping to die, and Providence did absolutely nothing, I’m hoping that it was both due to the late hour and it being a weekday. But still. 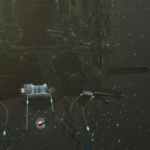 These days null seems to not want to fight, either docking up and waiting until we leave, or logging off. So for those of you in null-sec reading this. 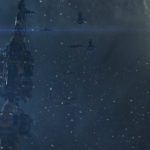 Please, please don’t dock up, get your friends, form a defence fleet, and have a brawl. It’s a lot more fun than ratting, I know, I’ve been on the other side.